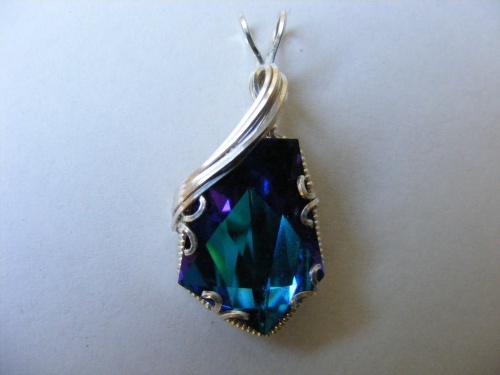 This unbelievable Vintage Austrian Swarovski crystal is one of a kind with its elegant sterling silver swirls. Piece is circa 1950. The color is mesmerizing. Comes with a sterling silver snake chain.